I have been watching episodes of “Tonight at the London Palladium” on ITV for the last couple of weeks. My interest was whetted when seeing one of my former schoolmates, Bradley Walsh, hosting it. He is slick, funny, charming and on occasion a bit naughty. Just how I remember him at Francis Combe School when he was 15 years old, and he had the rest of the class in stitches impersonating Tommy Cooper. 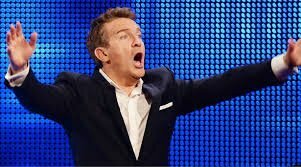 Besides the variety acts he introduces each week, from moving magicians to sparkly singers, he invites an unwitting member of the audience to come onto the stage and play a ‘guess the age’ game. One row of the audience is asked to stand up and the participant has to guess their age by saying whether the person to the right of them is older or younger. This is repeated for each person all the way down the row. The person who has been judged to be older or younger then turns over a white card, they are holding, which reveals how old they actually are. If the participant guesses right the audience roars in approval. If they get it wrong everyone looks a bit embarrassed. Great fun. Mostly the guesses are right because humans have developed a well-honed skill of working out the age of someone by how their face looks. It was with a mix of shock and then disbelief that I later saw a version of the guessing game being played by a computer for real in a wine bar in Hove. 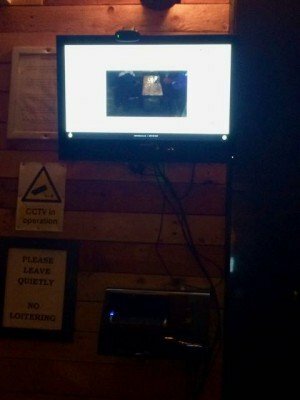 Many bars and clubs now have scanning technology (Scannet.com). It checks someone’s ID card (usually their driving license) and reveals the details on a public TV display for all to see; their mugshot with their age and a big tick on either side – indicating if their ID has passed the authentication test. While having a quiet drink in the wine bar after dinner, we noticed it in action as the early birds arrived, all made up. They waited patiently at the door for their go with their ID cards ready to hand over to the bouncer. It just seemed routine to them. Nothing out of the ordinary. Why were we so surprised? The mugshots that appear on the screen appeared to have some kind of pattern superimposed on their foreheads which made each one look like a criminal photo. Their age extracted from the card also shows up in bold 60 point font; both can be seen clearly from anywhere nearby. For added security, the scanner takes a photo of the ID card and stores it as data. Who knows what other information is stripped from the ID card as part of that data? When the scanner is not in use, a webcam on top of the display clicks into action, like a CCTV camera, which was pointed at our table in front of it – we could see ourselves on the screen drinking.And for equal measure, there is another TV screen, with the same information appearing on it, hanging by the bar, so the bartenders can check as well as the bouncers. 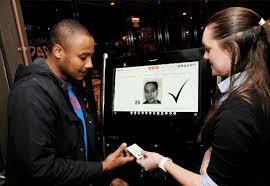 Apparently, in London and other cities across the world, it is now required to install this kind of ID scanning equipment in clubs and bars. Worryingly, the data does not stay in one place. The scanners are all hooked up to a network that allows all the signed up clubs and bars to share the data with each other. Should a clubber be rowdy in a bar and subsequently banned, they may find they are banned from all the other venues that are part of that network. No wonder nightclubs are closing by the hundreds throughout the UK. We watched as people’s ages popped up alongside their faces on the screen – 22, 23, 26, 33. We played our own version of the London Palladium game, guessing whether we thought the number appearing on the screen matched the person walking through the door. Some looked older than their actual age rather than younger. None appeared under age or had fake ID. Perhaps the technology was doing its job acting as a deterrent. But most unsettling to us was that the young things did not seem to care in the slightest – after being handed back their cards they headed straight to the bar to grab a cocktail. Par for the course of being young these days.